This article will focus on web design, although much of the discussion applies to other types of design. When handling design, my two tenets are: functionality and simplicity. Design only exists because there is functionality behind the design. When we remember that functionality, we can create better design that helps people understand its use. This applies to projects, products, and all manners of design. Let’s take for example interior design. If we were to stand in an empty living room, it wouldn’t be a living room. It would be an empty room. The potential is limitless because we have yet to apply functionality. If we were to add in two desks and two chairs at the center of the room, we have created an office space. But if we added in a couch, a coffee table, and a television instead, we have created our living room. Websites only have 8 seconds to capture someone’s attention before they leave your site. This means that you have to make your design clear and concise, or as I call it – simple. Having the header, navigation, body, and footer clearly delineated helps the visitor easily navigate your site. If we look back at our room example, if we had two desks, two chairs, two couches, a coffee table, and a television all put in the same room, we could consider this room storage. 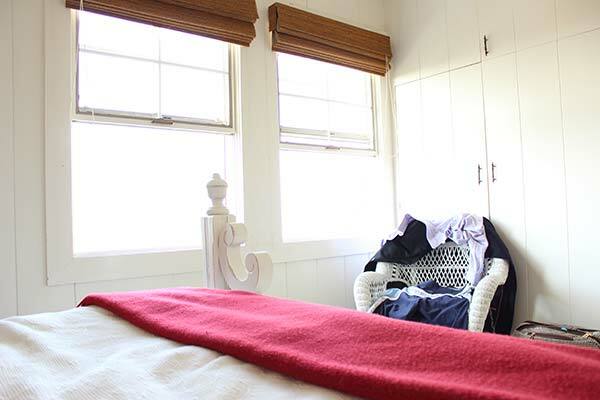 It’s hard to recognize what the functionality of the room is when there’s too much clutter. The same goes for web design. If there’s too much information or too many options (20 navigation choices in the header is very daunting), then the visitor is most likely to leave because they won’t know what else to do. Apply these tenets to web design and your clients will appreciate your work much more. If you’re wondering how functionality and simplicity apply to logo design, that’s a discussion for another time. 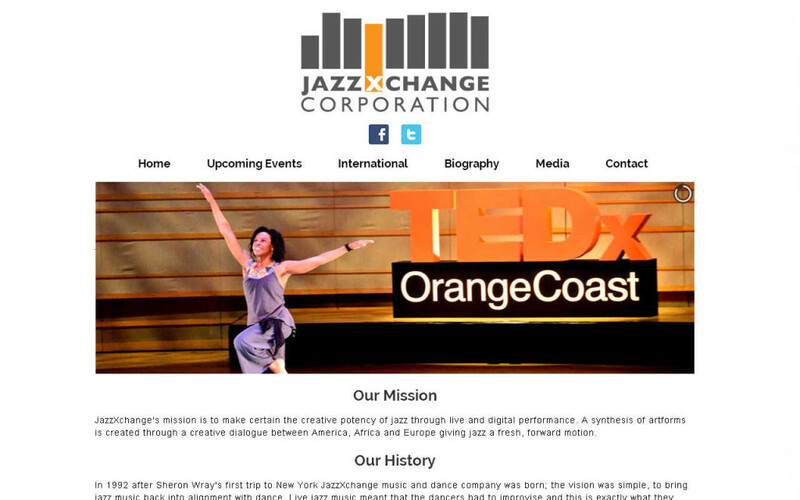 I am proud to help launch non-profit JazzXchange.org in time for its debut at TedX Orange Coast. JazzXchange’s mission is to make certain the creative potency of jazz through live and digital performance. A synthesis of artforms is created through a creative dialogue between America, Africa and Europe giving jazz a fresh, forward motion. For those of you who don’t know, I’ve been adding different cubes to the Creative Cube Company slider on the index page on special days and events. I’ve also added them to the company Facebook page. Every cube has the same foundation, but it has visual enhancements that correspond to the day/event. Please enjoy the newest update: the 2013 Chinese New Year Cube, year of the snake. It’s only New Year’s Eve, but Chinese New Year is about a two week long celebration including the New Year’s Eve. The design resembles a red envelope with gold foil given to children. The word on the side is the Chinese word for snake, which I designed with coiling snakes. FPL and Associates, Inc. is a Civil Traffic design firm that has operated out of Orange County, CA for 25 years. 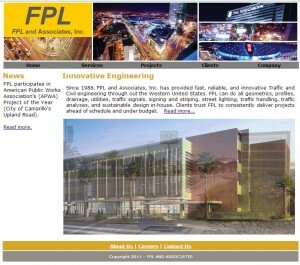 Last year, they purchased a website, and it looked something like this. I do like the very simple appeal of their original site. In an instant, you can tell that they’re a small business, which is a boon and a bane depending on the vertical (market/industry) that the business is in. Some people like knowing that the people they’re working with a local and small business because they don’t want to work with big business.